When you’re considering purchasing a new luxury home, there are numerous decisions to make surrounding which home and/or community meet(s) your needs. 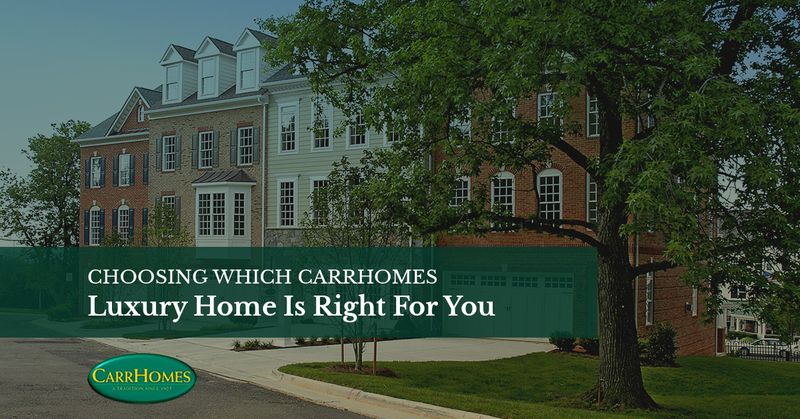 Like most of CarrHomes’ current and future homeowners, you’re doubtlessly carefully mulling over each of our communities’ properties, and how each feature and location matches your needs. This can be a time-consuming and arduous task, as purchasing a luxury home is one of the biggest decisions one can make. Accordingly, selecting your designer home deserves ample forethought and consideration. We at CarrHomes understand the pressures associated with selecting the luxury home that best suits you and your family’s needs. Moreover, we want our future homeowners to not only have information on each of our CarrHomes communities, but to also have details pertaining to each of our distinguished and award-winning luxury home models. In this first of a two-part series on the exquisite features found in each of our new homes for sale, we’d like to give a brief and succinct overview of the quality, care, and professionalism that goes into each of our CarrHomes models. Curious about the specifics that make each of our communities and properties so unique and accommodating to nearly any family lifestyle? Continue reading for an array of attractive features, fixtures, and location-specific details, or continue reading for a broader overview of our truly luxurious new homes for sale. 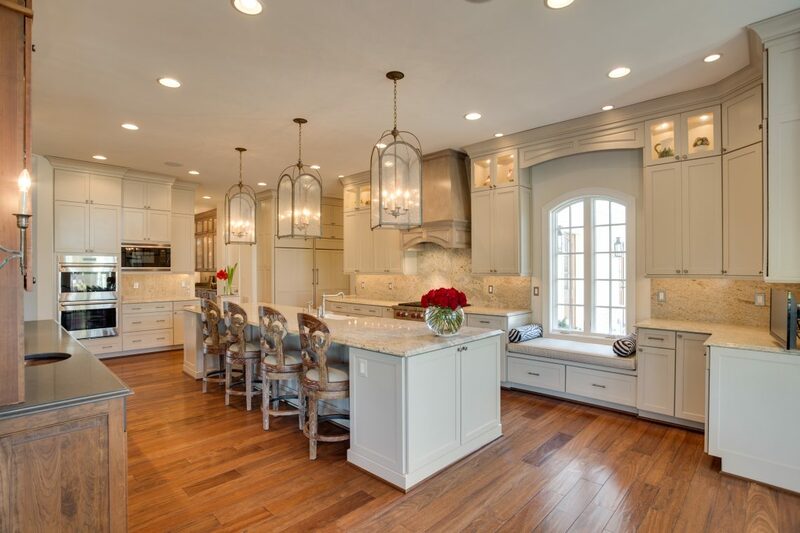 The aforementioned features are but a few of the many distinguishable traits that propel CarrHomes ahead of other luxury home builders in the Greater Washington area. Still unsure if a CarrHomes luxury home is right for you? Continue reading to learn how each of our communities is designed to give you the most out of your new home. Away From it All, or Close to the Action? Since 1925, CarrHomes has crafted a tradition of excellence in luxury home construction. Not only did our founder, Mr. Edward R. Carr, seek to construct quality homes, but also sought genuine customer service and satisfaction. Nearly 100 years later, this dedication lives on in our commitment to crafting and constructing quality communities built on a tradition of location, design, and craftsmanship excellence. This excellence manifests itself in our award-winning designer homes and communities, offering homeowners the best in luxury living. However, CarrHomes understands that your home’s interior and exterior features are the tip of the iceberg when choosing a home. The ancient adage of “location, location, location” manifested itself in Mr. Carr’s vision for his company, and lives on today through CarrHomes’ reach across Greater Washington. When selecting a luxury home, each potential home can mean hours’ or days’ worth of background research, visiting sites, or attending additional meetings and familiarizing yourself with multiple materials. CarrHomes understands that when potential luxury homeowners are considering multiple properties, details can get hazy or lost in between the fits and starts of comparing and contrasting. Recognizing this at-times trying process, we’ve compiled succinct overviews of our communities and unique luxury homes in order to provide you with all the information needed to set you well on your way to narrowing down your luxury home. Curious about location-specific details or have any questions concerning your future luxury home? Reach out to us today to learn more about how CarrHomes can make your new luxury home a reality. Saratoga Towns is a lovely community tucked away from the noise of DC, yet close enough to make daily commutes and weekend outings a breeze. 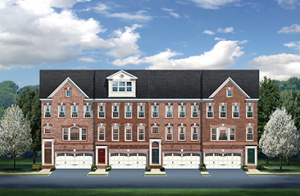 Located in a private setting with no thru-streets, each townhome features classic brick exterior and fenced yards, with three to five bedrooms and 2-½ – 3-½ half baths. Priced from the high $500s, Saratoga Towns offers the best in luxury and location. 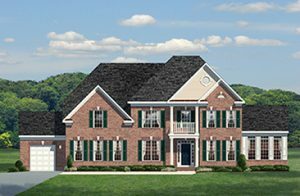 Loudoun Oaks is nestled among the rolling hills and lush countryside of Purcellville, affording homeowners lovely, year-round views from inside one of our four luxuriously spacious models. Each site boasts one- to four-acres, offering homeowners a sense of freedom and space while never having to stray far from the bedroom. 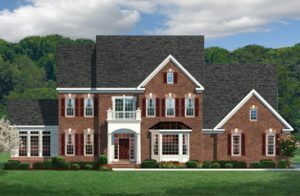 Beginning at the $500s, these properties are sure to exceed your expectation concerning new homes for sale in the Greater Washington area. One of CarrHomes’ newest communities, Hamilton’s Waterford Creek boasts homesites atop three acres of land, nestled just amid mature woodlands, creating a sense of calm. Priced from the $700s, each model offers luxury homeowners an array augmentation options should you choose to erect additional rooms for a greater sense of space, calm, and comfort. Situated amid pristine acreage that encompasses the National Historic District, Clifton Point affords homeowners the luxury of living among some of the nation’s most renowned historical and nature sites. Priced from the $900s, each luxury home model boasts spacious interiors and classic, custom-quality brick exteriors that are sure to please even the most selective of homeowners. The Meadows at Great Falls is situated amid a lovely residential setting but minutes from major retailers, Tysons corner, and Dulles International Airport. Priced from $1.6 million, each home within The Meadows offers truly luxurious amenities just a stone’s throw away from one of the nation’s liveliest cities, giving homeowners the best of both exhilarating urban life and quieter, more intimate urban living. While each and every CarrHomes model is drafted, crafted, and constructed with optimal functionality and luxury in mind, we’re proud to offer our GALA award-winning Lancaster model at The Meadows. 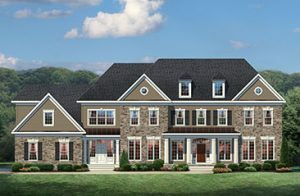 With many options concerning new homes for sale in the Greater Washington area, many can appear attractive. However, when you choose CarrHomes for your new luxury home, rest assured that you’re relying on nearly 100 years’ of design, craftsmanship, and location excellence. 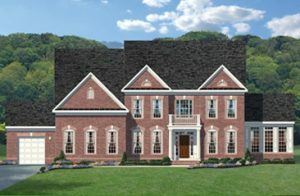 Ready to begin planning your new luxury home today? Reach out to CarrHomes today to get started.